Computes the AderivativeIndex derivative(s) from ObjPositionOrientationData using Gaussian derivatives with the specified σSpatial and σOrientation. Computes AderivativeIndex derivative(s) using a finite differences method which can be specified using options. Computes the left-invariant derivatives from an orientation score using either Gaussian derivatives or Finite Differences depending. 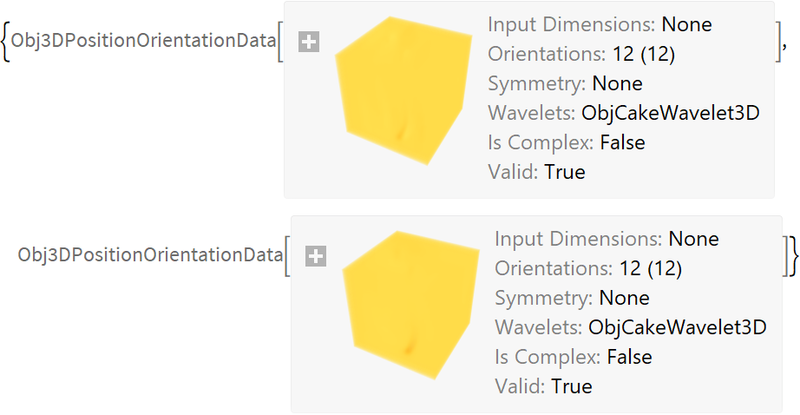 If the input orientation score is an complex orientation score, than both the real and imaginary part of the orientation scores are processed. The input argument derivativeIndex can either be a integer or list of integers. The finite difference implementation is also available in the common context. Using Normal on the output of LeftInvariantDerivatives3D results in an Association. Options that are supplied when using the Gaussian derivatives implementation are ignored as they are only valid in case of the Finite Difference method. Computing multiple left invariant derivatives at once using Gaussian derivatives.